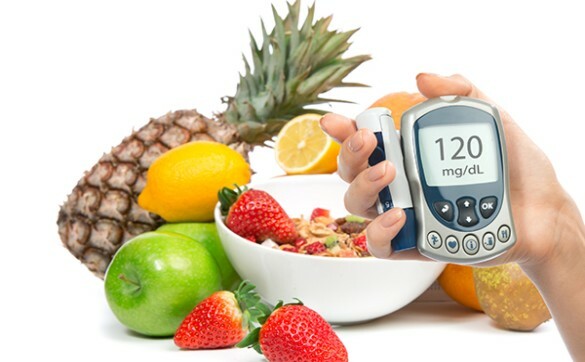 Dealing with diabetes is quite complicated, and if you are not getting proper information and care you might be predisposing yourself to more dangers. From the diet perspective, in this post you shall see some guide on what you should and should not be eating. Read on! If you are suffering from diabetes, you should bear in mind that your blood sugar levels have become fragile. This means that it can easily be altered or triggered to an intense increase or decrease. Even small amount of sugar can easily make it to skyrocket. Not eating on time can also make your blood sugar level to go on a decline. Almost all fruits and vegetables contains good vitamins and minerals such as heart-healthy sterols and stanols. These are antioxidants and blood-sugar-regulating fiber. Some of those foods include; Avocados, Corn and Soybeans. These foods are rich in polyunsaturated fats. Whole grains are highly rich in vitamins and micronutrients because they have not yet undergone processing. They include both the bran and germ of the grain. In the body, whole grains are digested more slowly compared to their processed counterparts. With this slow digestion, it slows down the release of sugars and moderates blood sugar levels. If you are suffering from diabetes, you be eating frequent, small, high quality meals throughout the day. This will make you to consume fewer calories and at the same time maintaining a steady blood sugar level. People who eat small, frequent meals are more likely to maintain a healthy weight which lowers their risk of acquiring type 2 diabetes. Trans fats are mostly plant-based fats that have been chemically altered. So many studies have revealed that trans fats are unhealthy for your heart health. They are far worse than the animal fats they were made to replace. It is quite obvious that the human body needs sugars, but not just any sugar but those found naturally in whole, natural foods. The human body is not designed to handle huge amounts of sugars gotten from sugar-filled foods and drinks. High levels of processed sugars can cause your blood sugar level to increase rapidly and then crash. This cycle can cause overeating and then obesity, which is two clear factors that leads to type 2 diabetes. When you drink a lot of sugary beverages, you take in many more grams of sugar compared to when you are eating even pastries or candy. To be on a safe side, you can replace sugary drinks and sodas with mineral water or green tea (either hot or iced). Green tea is highly effective in stabilizing blood sugar levels. Highly processed grains such as white flour lacks bran, germ and contains very little quantity of fiber. As a result of these, they easily get digested and turned into sugars in your blood stream. This causes the same type of blood sugar and insulin spikes just as the white sugar. As you have read to this point you must have discovered that maintaining a healthy diet as a diabetic patient is not that complicated. All you need to do is eat whole, natural, low fat foods and also include lots of fruits and vegetables in your diet. You should also avoid sugar, trans fats and processed carbohydrates always, they are just so simple. Don't benefit from this diabetes diet guide alone, kindly share this post with your friends on Facebook and Twitter by using the share icon below.